Super Stretchy, Super Lightweight Socks. 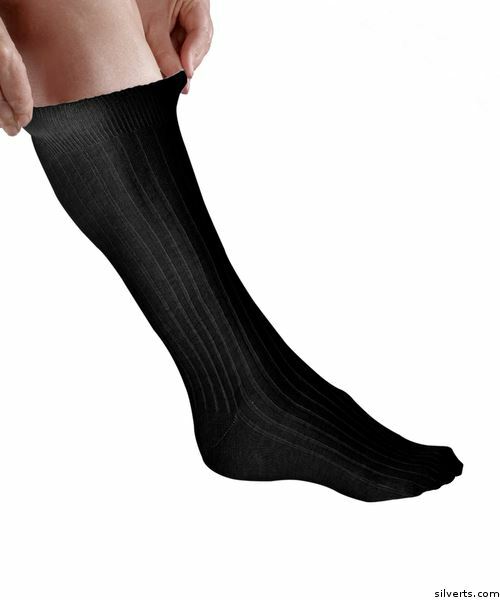 Fit easily and comfortably over swollen feet and ankles.The Best Most Stretchable Women's and Men's Unisex Wide Fit Diabetic Socks for swollen feet and ankles ever offered! Extra Wide. Wide enough to accommodate any leg condition. These stretch socks are non binding and non constrictive to aid in preventing reduced blood circulation. Lightweight, soft cotton knit for optimal comfort. 100% Cotton. Diabetic friendly. These unrestrictive non binding diabetic socks by Silvert make a terrific gift for those with diabetes foot concerns.